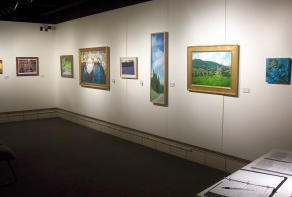 Kettering’s Rosewood Gallery presents the 21st Annual exhibition of The View, a showcase for Ohio artists to present abstract or traditional views of landscape, environmental themes and imagery, and world issues. Entries must be original works in any media (two- or three-dimensional), completed within the last four years and may not exceed 60″ in width. Work previously exhibited at Rosewood Gallery is not eligible for entry. Jurying will be done based on digital images. The Viewwill be on display at Kettering, Ohio’s Rosewood Gallery from May 18 through June 29, 2015. The Opening Reception will take place the afternoon of Sunday, May 17 from 2- 4 PM. This year’s juror, Kristin Spangenberg, serves as Curator of Prints at the Cincinnati Art Museum. She has more than 40 years of experience in her field, having previously served as Assistant Curator of Prints at the Cincinnati Art Museum and Assistant Curator of Graphic Arts at the Detroit Institute of Arts. Art on the Commons 2015: Call for Entries! Join the Rosewood Arts Centre and the City of Kettering Parks, Recreation and Cultural Arts Department for Art on the Commons! This 27-year-old Dayton-area art festival returns at Kettering’s Lincoln Park Civic Commons on Sunday, August 9, 2015 from 11 AM to 5 PM. Artwork will be on display and for sale in various juried mediums such as jewelry, ceramics, paintings, photography, metals, watercolor, sculpture, glass, fibers and wood. With live music and entertainment, a variety of food and drink vendors, and the fine art atmosphere, it’s no wonder why Art on the Commons has been recognized as an “outstanding festival” by national and local artist news publications. Check out last year’s press release. Art on the Commons boasts over one hundred artists from around the country, so represent OHIO and get your works circulating to a vast audience of consumers! For more information on the Rosewood Arts Centre or to find out more about the festival, visit the Kettering Parks site here! The City of Kettering and Rosewood Gallery are pleased to announce the opening of HWD: Regional Juried Sculpture Competition. This year, 48 sculpture artists from Ohio, Indiana, Michigan, West Virginia, Pennsylvania, and Kentucky submitted 130 pieces, from which the juror chose 30 artworks, representing 27 artists. The exhibit runs from August 25 through September 26, with an opening reception on Sunday, August 24 from 2-4 pm. United Art and Education Awards will be presented at 3 pm that afternoon. For more information about HWD: Regional Juried Sculpture or the Rosewood Gallery in Kettering, be sure to visit the website. Also, check the event calendar to see what great things Kettering, OH has to offer for the whole family!